Concordia scored 254 total team points and finished seventh at the MIAC Championship Meet. Cobbers Cap Great MIAC Meet! Concordia finished the MIAC Championship Meet by scoring 254 total team points and finishing in seventh place. It is the most team points at a conference meet by CC since the 2000-01 season and is the highest team finish since 2004-05. Junior diver Amy Glubzinski finished third in the 1-meter and was named the MIAC Women's Diver of the Meet. 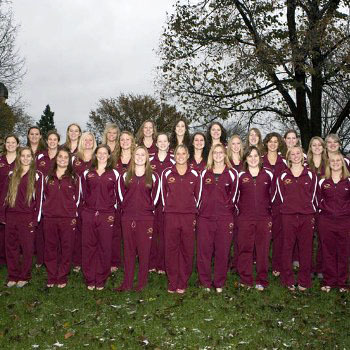 On the eve of the 2010 MIAC Championship Meet Concordia was named as a CSCAA Scholar All-American Team. The Cobbers, who have a team GPA of 3.33, were one of eight MIAC teams to earn the award. Jan. 30, SW&D: Trudeau Qualifies Again! Jan. 31, SW&D: Cobbs Place 2nd At CC/MSUM Inv. Jan. 24, SW&D: Cobbers Win St. Kate's Invite! Jan. 17, SW&D: Seniors Go Out In Style!